The succulent taste stimulates the appetite of ill or post-surgical animals. Once an animal reaches adulthood or completes recovery, this nutritious forage should be replaced with a grass hay.? 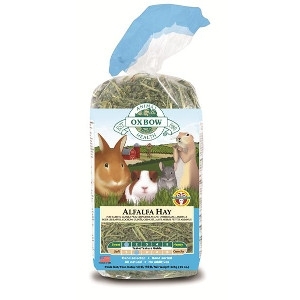 Alfalfa Hay, mixed with any other Oxbow® grass hay, creates a rich, flavorful and nutritious treat.